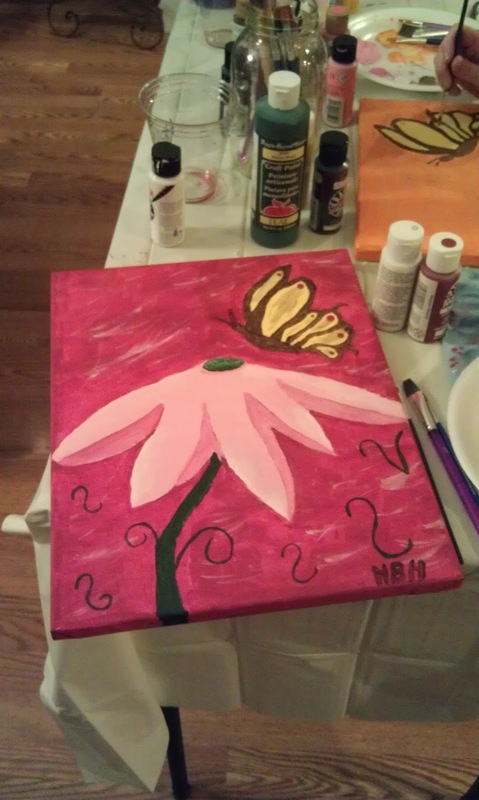 Wine and Canvas Party! 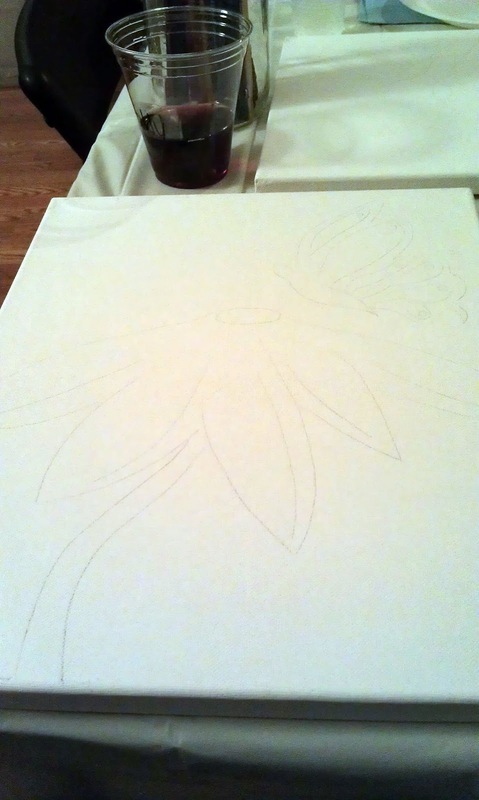 | Back Home Again: Wine and Canvas Party! After hanging out for a bit drinking wine and eating yummy food, we got down to work. Jessica's husband was our instructor and he was great. Super patient with several of us that aren't so artsy! I really enjoyed doing this. It was great to get together with friends and have a girls night. We always get together with our kids and never get a chance to just hang out because we're always chasing after them! Alan got me a gift certificate to the local paint your own pottery place in town last Christmas...I think I will be using it soon! She's a 39 year old (but mentally 16!) married mom of two beautiful girls, ages five and one and a half that went through years of infertility treatments and discovered she was pregnant with her youngest the old fashioned way. She's lived in Atlanta for the last five years, but is originally from Buffalo, NY, where it's "POP" not soda (Amen!) and they have the best pizza and wings around. 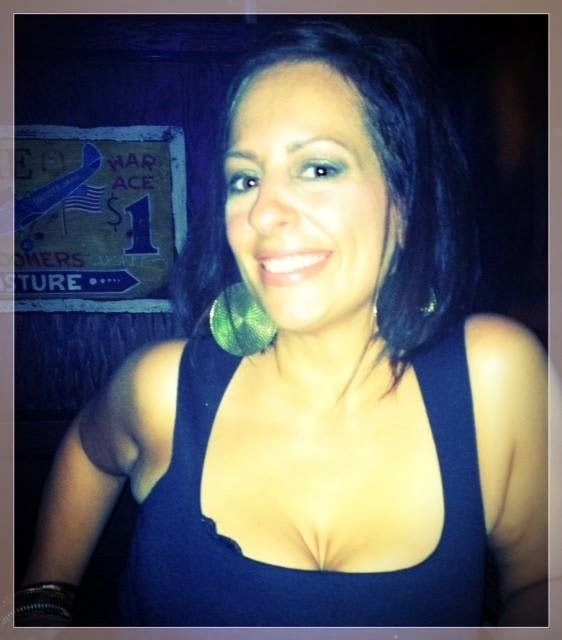 She decided to make a change one day and has lost 72 pounds since 2012, the old fashioned way. 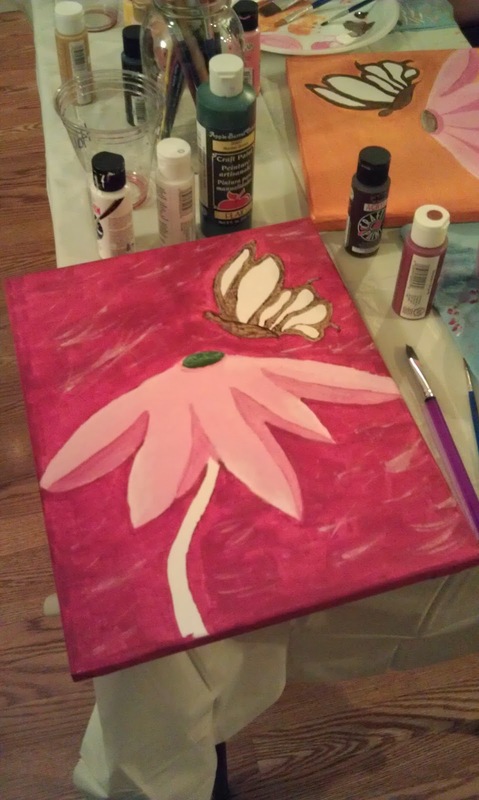 Wine and canvas is always fun together! I used to sit outside in the spring and paint. My teenagers and the other half used up all my paint brushes. It's time for new ones. I had originally painted it with those colors because I love pink but it actually fits almost perfectly in my daughter's room! Thanks again for featuring me!! 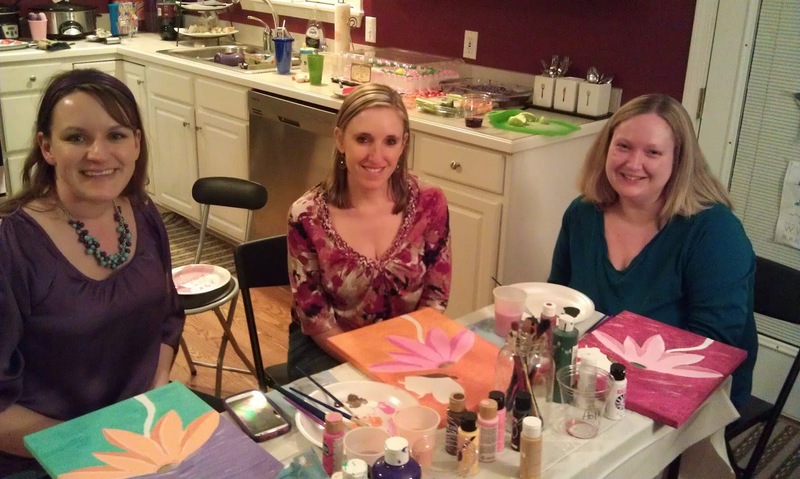 How fun, I just went to a BYOB painting class, but it would be a ton of fun to do one with my ladies in one of our kitchens! I love the idea! There's a place in my region called "the tipsy canvas" it's basically what you all did except with a larger group. Seems like a ton of fun, your canvas came out great by the way! Anytime you can have some time with friends is great--and I would definitely need an instructor. I'm not good at painting, but yours turned out very nice! I'm not good at anything related to art so I was very impressed with myself! Your canvas came out great! I have always wanted to do something like this before. It looks like a lot of fun! I just went to a local painting place and did this with friends. It was a great time I can't wait to do it again. It's a blast! My birthday was in December, but I'm totally thinking of doing this for my birthday this year. I was pleasantly surprised because I have always been horrible at art!